A 150-year-old cabin resting by a placid lake near Danville, Ohio has been updated with a beautifully handcrafted <a href="https://inhabitat.com/the-lantern-pavilion-glowing-contemporary-architecture-made-of-sustainable-timber/">timber-framed</a> addition. 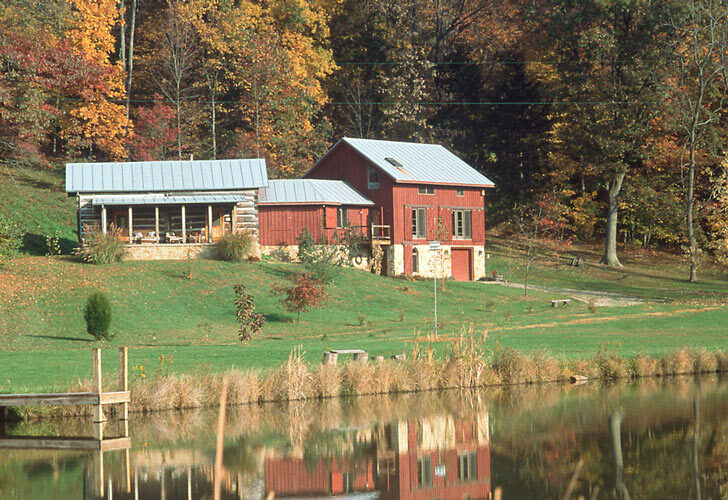 The Jenkins Home stays true to the original character of the log cabin, and the homestead's traditional Amish timber-framed construction maintains a strong connection to its roots. 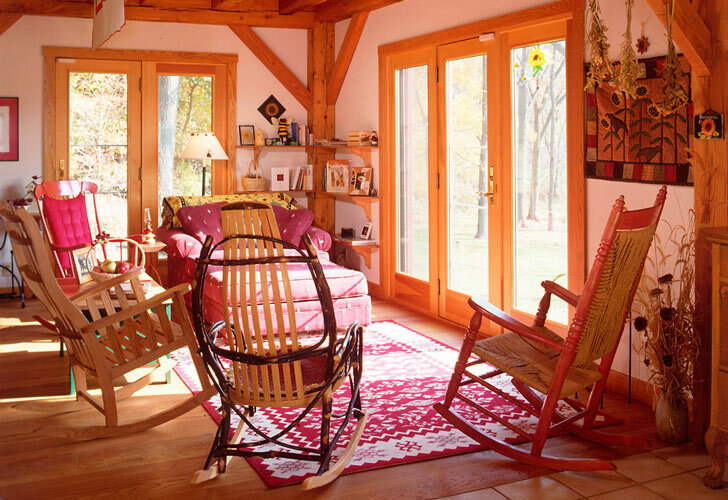 All of the wooden beams were carefully cut by hands and joined without steel connectors by <a href="http://www.oakbridgetimberframing.com">OakBridge Timber Framing</a>. <a href="http://en.wikipedia.org/wiki/Timber_framing#History_and_traditions">Timber framing</a> is one of the oldest still-used building techniques for the simple reason that it is an efficient and elegant use of materials. Unlike most timber framers in the states, <a href="http://www.oakbridgetimberframing.com">OakBridge</a> does most of their cutting and assembly by hand. The result is very tight joinery which is very strong and durable without the need for steel fasteners. 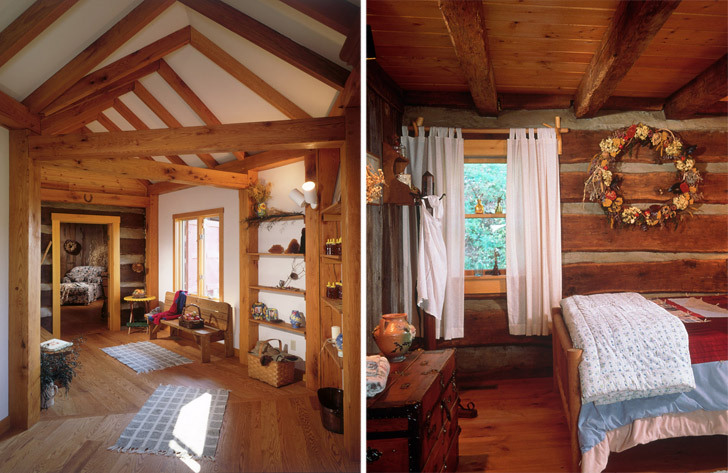 The Jenkins Home started as a 150 year old <a href="https://inhabitat.com/true-north-log-homes-unveils-a-new-wall-system-that-doesnt-leak-air/">log cabin</a> which was refurbished - a new two-story addition and breezeway updates the home but does not detract from its original feel. 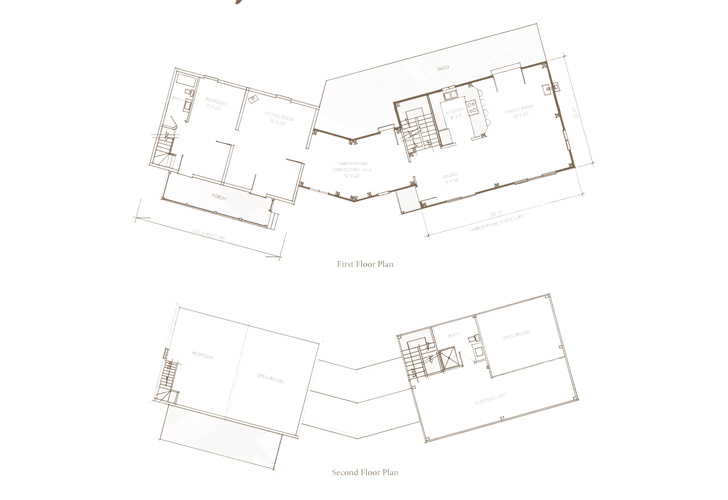 Like most timber frame homes, the structure is fully exposed on the interior, enhanced by the open floor plan and loft — making for a generous living space. The one great leap in technology is the use of structural insulated panels or <a href="http://www.sips.org/about/what-are-sips/">SIPs</a>. The sandwiched foam and plywood panels wrap the home and reduce thermal bridging while providing high insulation values. 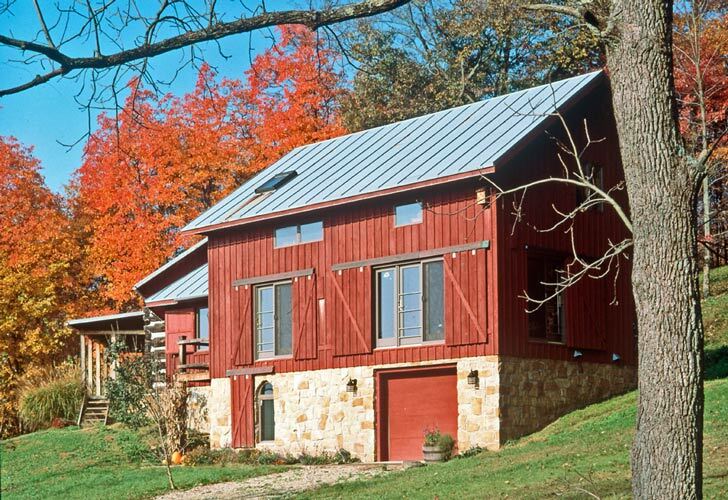 Barn door louvers cover the southern windows, cutting heat gain in the summer and giving the façade another practical link to the past -- when residents could not depend on air conditioning to keep a building cool. A 150-year-old cabin resting by a placid lake near Danville, Ohio has been updated with a beautifully handcrafted timber-framed addition. 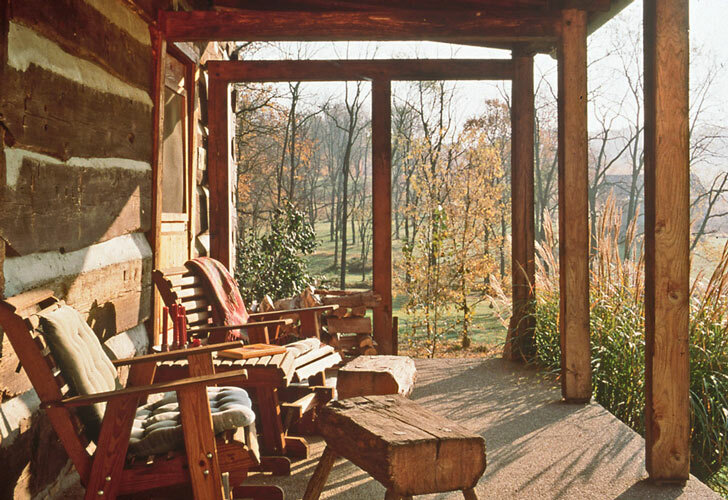 The Jenkins Home stays true to the original character of the log cabin, and the homestead's traditional Amish timber-framed construction maintains a strong connection to its roots. 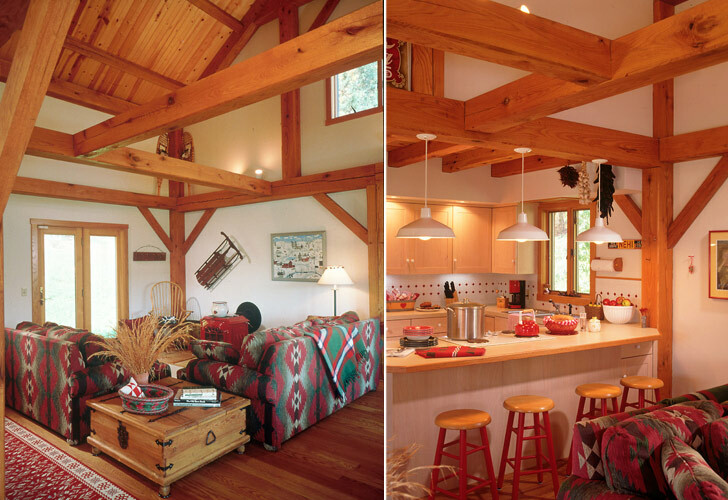 All of the wooden beams were carefully cut by hands and joined without steel connectors by OakBridge Timber Framing.